The multi-billion dollar make-up industry has grown over recent years but the consumers have been mostly women. In 2017 the worldwide market for the make-up market was much higher than $200 Billion globally. WHile the data shows women wearing make-up intended to improve confidence and to enhance their beauty for not yet determined reason, men's make-up becoming popular. Men have been wearing make-up over the centuries. Wigs and beauty spots and the dandies were popular in 17th, 18th centuries even more recently in England in particular. Men have projected their pride of masculinity image which started in the early 19th century and has been powerfully followed throughout the time till now. 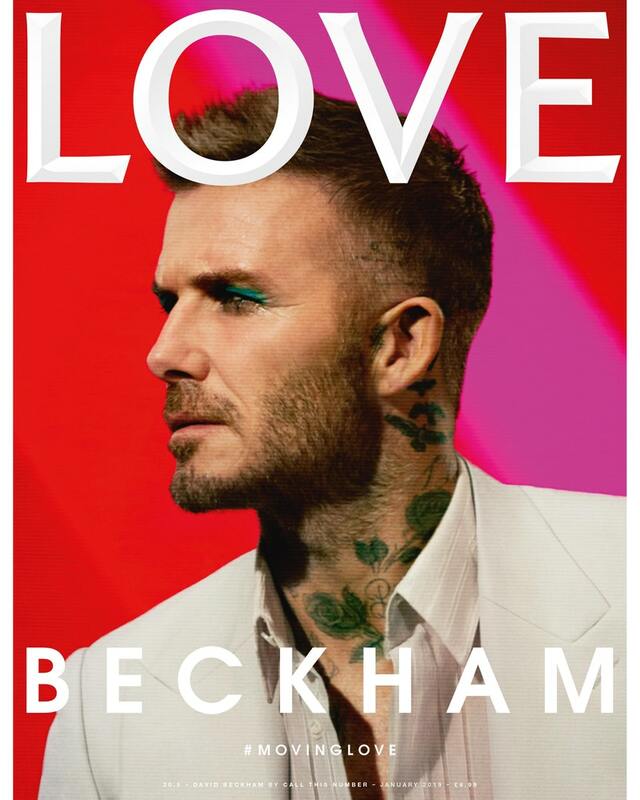 Now seeing the LOVE Magazine cover of David Beckham with green eyeshadow makes us wonder if there is growing desire in men to wear make-up. This cover photo is not the only one instance. There have been some other faces were projected as this potential change. Is it possible that this could be the start of a large movement in men’s acceptance to wear makeup and move away from their pride of masculinity? Chanel, Maybelline, and some other cosmetic companies have been working on men’s make-up. In the UK, it is estimated the men’s make-up industry is growing rapidly and expected another 50% increase within the next 5 years. Chanel’s BOY de ('Be Only You') is, as an example, a streamlined collection of only three products – foundation, eyebrow pencil and lip balm that bring a natural own look yet hardly challenges conventional notions of masculinity, but it potentially could be a start of this huge movement. It is possible by shifting their perspective, maybe men would feel more inclined to experiment to wear makeup. Being said all that, considering the advancement in non-surgical methods in medical cosmetics over recent years, there is a growing trend in women to achieve their best version of natural beauty and/ or enhancement of their look without the need to go through risk and cost of surgery. This trend is growing rapidly which would reduce their daily use of make-up. As it has happened in the past, men may be inclined more and more using make-up while women moving away from it and would prefer to go through some non-invasive cosmetic treatments instead.